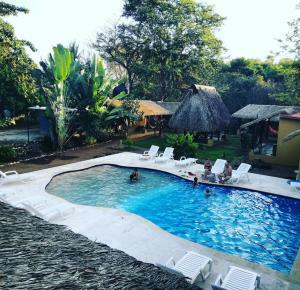 ﻿ Best Price on On The Reef in Santa Catalina + Reviews! 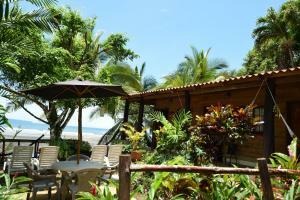 On The Reef is located right on The Point Beach, Santa Catalina’s main surfing break. It features a bar and an ocean-front deck. The rooms offer cable TV, views of The Point Beach and air conditioning. Private bathrooms also come with a shower. All rooms have ocean views. Guests can find a variety of restaurants within 328 feet. The town center can be reached in a 10-minute walk, where a variety of dining options is available. At On The Reef you will find an ocean-front shared kitchen, tour desk and an array of activities that can be enjoyed at the private beach including diving, snorkeling, surfing and fishing. The property offers free parking, and security is provided 24 hours a day. Please note that due to the road, a 4x4 vehicle is required to access the property.